After making each other’s acquaintance in the inspiring setting of Edinburgh, Emily and Graham soon found a love for playing music with each other, staying up into the wee hours making home recordings. Having busked the streets of their home city during the Edinburgh Festival Fringe, they created quite an impact when they made their debut at Glasgow’s Celtic Connections festival. 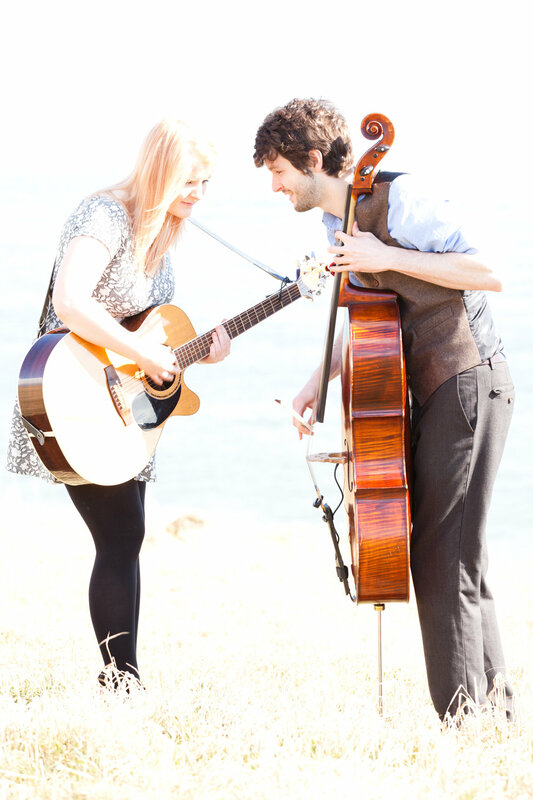 When in­-demand playing partners Emily Kelly and Graham Coe released their full­-length album, it won a huge amount of radio exposure, and reviewers unanimously agreed that something totally appealing had come on to the scene. The Sunday Herald (Scotland) made it one of their Top Albums of The Year while Maverick magazine described them as “fascinating” and said they demonstrated “originality by the bucket­load”. “Heartily recommended” by Folking.com, Acoustic magazine told readers they “kick up a heck of a storm,” while The Daily Express called the duo “a match made in heaven”. They started 2015 as they meant to go on, winning even more praise following bigger­-exposure live performances, including a nomination for Best Acoustic Act in the Scottish Alternative Music Awards, and spreading their wings much further afield, spending a month gigging around Germany, The Netherlands and Denmark. 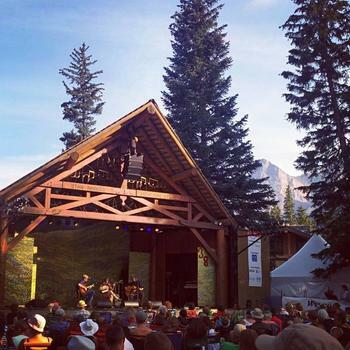 After a successful appearance at Folk Alliance International in Kansas City early in the year, Emily and Graham spent 2016 gigging extensively, including a tour of Canada in September. In 2017, after a return visit to Folk Alliance in February with an official showcase, they have been focusing on putting the finishing touches on their second album, while 2018 will see them release the album and tour the UK, Europe, USA and Canada, sustaining the momentum that has earned them exceptional praise so far. This is a return engagement for Heather and the boys and they were absolutely wonderful two years ago and we are very happy to bring them back to Casa del Bistro for a repeat performance! Heather Pierson (lead vocals, acoustic guitar, tenor banjo, piano) is an award-winning singer/songwriter, pianist, and performer. With eight previous solo recordings under her belt, Heather’s wise-beyond-her-years songwriting, angelic voice, and world-class chops have catapulted her into the spotlight. Shawn Nadeau (bass, harmony vocals) brings a rock solid thump and nearly two decades of performing experience to the trio, informed by a wide spectrum of unique rhythmic andmelodic sensibilities ranging from rockabilly to reggae to jazz. $20 per seat prepaid, (See DONATE TO RESERVE SEATS FOR ERICK BAKER button, below). Prepay opportunity is only available prior to two days before the show! Pam and I had the awesome experience of seeing Erick Baker in a House Concert earlier this year and we were completely and justifiably sold on him, his wife, his songs, his stories, and his music! His "straight from the heart" stories and exquisitely crafted songs kept us all mesmerized and begging for more. We are so pleased to be able to bring Erick to Casa del Bistro and encourage you to come out and add him to your list of favorite artists! He is truly a great singer-songwriter and we know you will end up a fan! No one does heartfelt love songs like he does. He hasn't played much in the Midwest, so this may be the first time seeing him for many of you. Erick's coming off of several sold-out shows at Eddie's Attic in Atlanta and sold-out shows at the 700-seat Bijou Theater in Knoxville. This will be one of the highlights of our season, for sure! We feel honored to be able to share him and his music with you! Folk powerhouse pair The Small Glories are Cara Luft & JD Edwards, a dynamic duo planted on the Canadian Prairies. A self-professed “study in contrasts,” Luft's folkie yin proves a perfect match for Edwards’ rocker yang. Thrown together purely by accident for an anniversary show at Winnipeg’s venerable West End Cultural Centre, The Small Glories is a partnership that could almost make you believe in fate. Yes, we know this is Good Friday, and this show will make it a Great Friday! For those of you who may want to attend a local church service for Good Friday, we will hold off the start of show until 8:15 if I hear from you that this would allow you to attend! Doors open at 7:00 PM. Show starts around 8:00 PM. BYOB and bring hors d'oeuvres or snacks to share! It was while Paul was producing for Helen's JUNO Award winning album that they became Big Little Lions and together they have won many awards including 1st place in the International Songwriting Competition, the top prize of Song of the Year in the John Lennon Songwriting Competition, Canadian Folk Music Awar 2015 for Ensemble of the Year. Their latest album, Just Keep Moving, is nominated for two 2016 Canadian Folk Music Wards for Contemporary Album and Vocal Group of the Year. Both of them are hugely prolific songwriters and between them they have had hundreds of TV, movie and ad placements and are also often featured on CBC radio shows including The Vinyl Cafe. Their live show is quite the spectacle with Paul playing drums, bass and keyboard all while singing lead vocals with Helen, who is no slacker playing guitar and foot percussion. They use every limb, and then some, to make two people sound like a full band. Their music has been featured on TV including MTV's Catfish, ABC's The Vineyard, NBC's The Night Shift, CBS's Elementary, movie trailers, Microsoft, Ikea and McDonald's commercials. Roxanne de Bastion - St. Patrick's Day House Concert! Doors open at 7:00 PM. Show starts around 7:45 PM. BYOB and bring hors d'oeuvres or snacks to share! There’s no doubt that Roxanne de Bastion is an incredibly talented artist and she has made a big impression on the music press and radio since she began performing in 2007. She’s also a great inspiration to many new artists, a shining light when it comes to musical independence having released her debut album “The Real Thing” on her own label, Nomad Songs and successfully self-organising numerous international tours. Her insight into the music industry has also led to her being invited to join the board of the FAC in order to represent up-and-coming musicians. Last year, Roxanne founded FM2U, a conference and network specifically from and for independent musicians. Roxanne de Bastion has been awarded an official showcase performance slot at next year’s Folk Alliance Conference and is being supported by PRS Foundation. With new recordings under her belt, Roxanne is looking to build her team, release her second album and tour extensively in 2016. My name is Roxanne de Bastion and I’m a Singer / Songwriter. I was born and raised in Berlin, where I grew up listening to the Beatles, learning guitar and attempting to write and perform my own songs. Once I finished school I decided it was time to move into my own life of music and so I packed a bag, my guitar and flew to London with a one-way ticket in 2007. Since then I’ve been fortunate to be able to play my songs across the country and pave my own musical path. I’m now based in London, but spend most of my time on trains across the UK playing in as many different nooks and crannies as possible. Although it’s not always easy, I am infinitely thankful to be able to practice what fulfils me most, to make and perform music, and for all of you who have found enjoyment in my songs and journey. Thank you so much for coming to my shows, listening to my words and for your support! The Young Novelists CANCELLED due to illness. The Young Novelists had to cancel due to Graydon being in the ER in Toronto and unable to make the trip. We will try to reschedule. Daniel Dye and the Miller Road Band will fill in for them. Daniel Dye was born and raised in rural Ohio, although the last decade has found him working and traveling throughout Europe and Asia. He writes music, and is sometimes accompanied by the Miller Road Band – a combination of cello, mandolin, banjo, fiddle, harmonica, accordion, and guitar. The MRB also happens to be his nephews and niece, and the Miller siblings, who are trained in classical music, bring a “rich sound” to Dye’s “powerful short stories through simply beautiful lyrics” (WYSO 91.3). These days he runs all over central Ohio like a hunted man, teaching classes to immigrants, helping the dispossessed (including his wife and babies), and just generally trying to make a living. In the shreds of spare time he can pull together, he writes, plays, and sings. His songs are original, even if the tough times he sings about are not. Please come out and support the series and we look forward to seeing you! We apologize for any inconvenience this may cause for you, but it will be a great show! 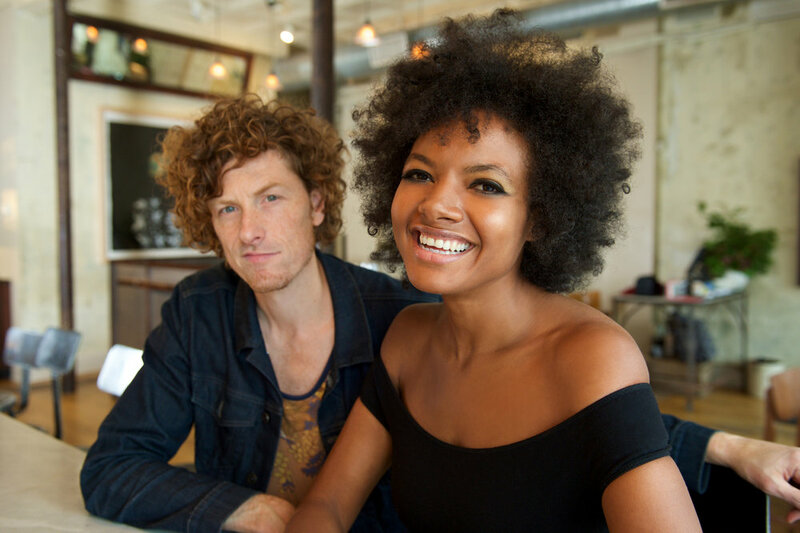 Johnny & June meets Simon & Garfunkel – Toronto based Americana husband and wife duo The Young Novelists have had an amazing year. 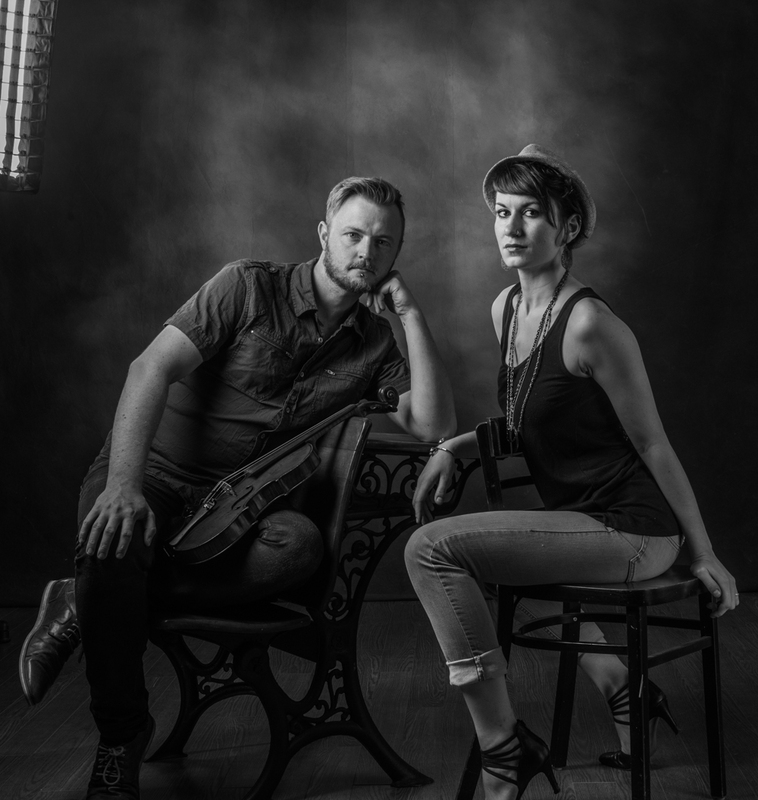 Fronted by Graydon James and Laura Spink, they are known for their beautiful harmonies and songs culled from their small-town roots. After the release of their second full-length album made us strangers, they have been touring Canada and the US relentlessly and earning accolades wherever they go. 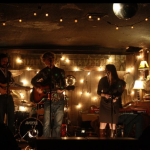 They were recognized as New/Emerging Artist at the Canadian Folk Music Awards, won the Grassy Hill Songwriting Competition at the Connecticut Folk Festival, and Graydon received the Ontario Art Council’s Colleen Peterson Songwriting award for his song “Couldn’t Be Any Worse”. This one could be a sell out! Don't miss your chance to get a seat! Birds of Chicago: You will not speak to a soul at Nowhere Else Fest who will fail to rant, rave and tug at your coattail with tales of wonder and revelation, served from the altar of Birds of Chicago. I will wager that they came into this festival as the relative unknown and left as the band on the tip of everyone’s tongue. Their Saturday set was a reminder that live performance can aspire to something approaching a tent revival, assuming you believe that music is but one of many ways that the Divine reveals Himself to our eyes and ears. But even if you don’t… Birds of Chicago were simply a force of nature. Look at it this way: they have released arguably the best record of the year (Real Midnight, produced by Joe Henry), and easily my favorite song of 2016 (“Remember Wild Horses”), and, yet, I was wholly unprepared for how powerful the band would be in a live setting. Birds of Chicago are getting ready to hit the summer folk festival circuit, and they will spend most of the summer re-printing t-shirts and CD’s." In so many ways, we are a word weary culture, ever searching for ways to communicate in fewer and fewer words, letters, syllables...Our online, blogged out, you-tubed attention spans are truncated and fragmented like never before. 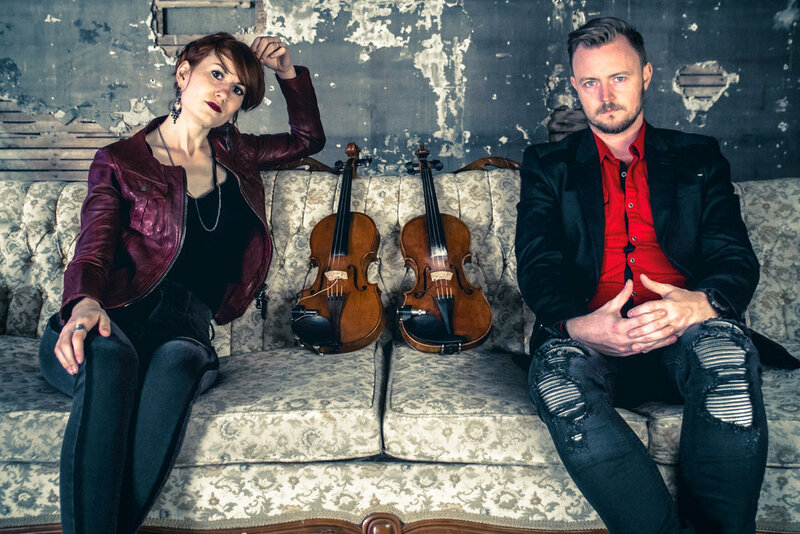 Birds of Chicago, the collective centered around Allison Russell and JT Nero, reassert the simple notion - radical in these times - that beautiful words and music can still tap deep veins of emotion. Birds of Chicago was born in 2012 when Nero began writing for his vocal star-muse, Russell. Both were accomplished singer/songwriters with projects of their own, Nero with JT and the Clouds and Russell with the acclaimed Canadian roots outfit Po’ Girl, but together there was an unmistakable chemistry. Nero had found the perfect voice for his rock and roll psalms. Russell moved from being a primary songwriter to an interpreter, and her simmering restraint is deeply refreshing to a landscape scorched by post Voice/American Idol vocal gymnastics and over-emoting. 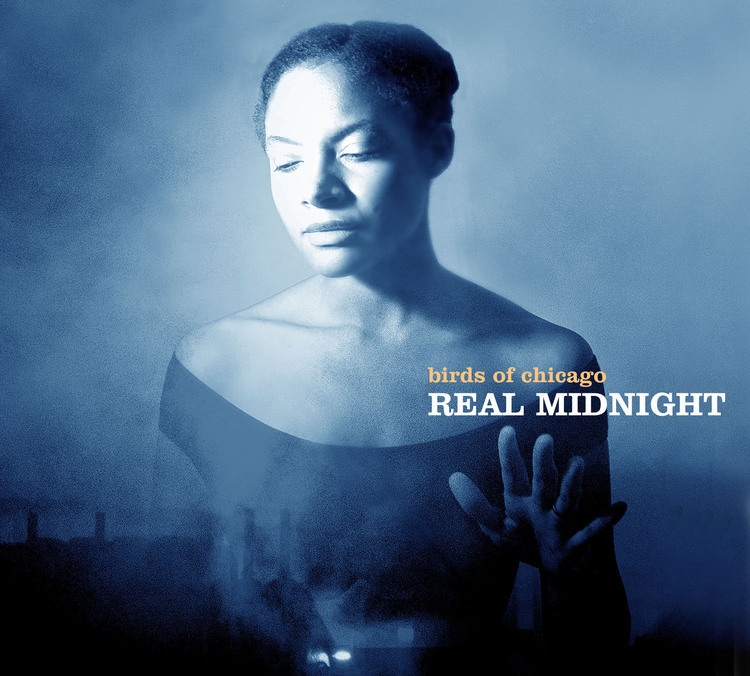 On Real Midnight, Birds of Chicago alternate moody rock swagger with the ghostliest of soundscapes. Produced by Joe Henry, a man who’s expert blending of light and shadow is well known, the album is a melancholy - but never shoe gazing - suite, full of wayward, joyful, lonesome voices raised up against the night. The duo has since gone on to tour in eleven countries, including shows in London, Paris, Amsterdam, and Berlin. They've taken the stage at renowned venues such as The Bluebird Café in Nashville and The Green Note in London, and they’ve performed at festivals like Riverbend in Chattanooga,TN, Rhythm and Blooms in Knoxville, TN and the Kerrville Folk Festival where they were named New Folk Finalists. $20 per seat prepaid, (See DONATE TO RESERVE SEATS FOR FLAGSHIP ROMANCE button, below). $20 per seat prepaid or at the door, (See DONATE TO RESERVE SEATS FOR HEATHER PIERSON button, below). Prepay opportunity will not be available within two days of the show! At first glance, Heather Pierson appears to be the girl next door – youthful, friendly, a little bit shy. However, at the seat of a piano or brandishing an acoustic guitar, tenor banjo, or melodica, she transforms into a world-class performer, baring her soul in a manner that leaves her listeners breathless and aching for more. Heather Pierson is an award-winning pianist, multi-genre singer/songwriter, arranger, bandleader, and performer. From New Orleans-style jazz and blues to rousing Americana and poignant folk narratives, Heather’s live performances, both solo and with her acoustic trio (Davy Sturtevant on strings/cornet and Shawn Nadeau on bass) move seamlessly and effortlessly from one style to the next, and a growing catalog of wildly divergent CD releases reflects her boundless creativity. In November 2014, she released her eighth studio recording, Motherless Child, a collection of inspired originals and renditions of blues and jazz standards that is her best and most ambitious release to date. In bringing a Dr.-John-meets-Dave-Brubeck sensibility to songs like “The Gumbo’s Too Hot” and embodying the very meaning of heartache in her Nina Simone-infused renditions of classics like “I Loves You, Porgy” and the stunning title track, Heather’s formidable talents as a vocalist, pianist, songwriter, arranger, and bandleader are on full display. John Batdorf returns to Casa Del Bistro!!! Singer/song writer John Batdorf returns to Casa Del Bistro House Concert Series and will be providing another wonderful evening of acoustic music and stories that we know will take us all to a better place and leave us begging for more! John is an incredible talent and just a great guy! He was the first in our House Concert Series and we look forward to hosting him and all of you. Admission is by Donation, ($15 prepaid and $20 at the door recommended), with all donations going to to the artist. John will also be selling CDs at the show, including his newly released CD, "BEEP BEEP". If you missed John the first time, here's your chance to experience a true professional and just all around good guy. If you did see him last time, he has fresh new material to add to his long list of classics! From age 18, John Batdorf has been living the dream! Signing to Atlantic Records as one half of Batdorf and Rodney, John went on to make four albums, the latter being with the group Silver which included the hit, Wham Bam Shang-a-Lang which went to #16 on the National Billboard charts. From singing on stage at Carnegie Hall at age 20 and more recently, John singing with Adele on last year's Oscar performance of "Let The Sky Fall", John truly has just about done it all. He has been a touring recording artist, studio singer, songwriter and TV composer with such credits as, Touched By An Angel, Promised Land, Motley Crue, Rod Stewart, Dave Mason, America, Nissan, California Lottery, Tom And Jerry Kids, Garfield and Friends, Darkwing Duck, Dr. Dr., McDonalds. Budweiser, Suzuki, Kawasaki to name a few and the list continues to grow! To this day, John continues to write songs, release CDs and tours constantly. Just what is it about the qualities of John Batdorf that set him apart from other excellent singer-songwriters… It’s his vulnerability: his complete opening the door to his heart. John invites the listener into his soul and shares a couple hours, open and trusting as he sings of love and hope: transforming despair to hope, hate to love and fear/ignorance to tolerance/acceptance. We share his understanding, forgiveness and are filled with compassion when the song is done. When you hear John sing live for the first time, you'll understand why his music has meant so much to his fans for decades! Award-winning singer/songwriter, guitarist & storyteller from northern Virginia’s Blue Ridge. The singer, writer, guitarist and storyteller usually tours solo, but also performs frequently with founding Nitty Gritty Dirt Band member Les Thompson fronting their genre-bending quartet Beyond Borders. 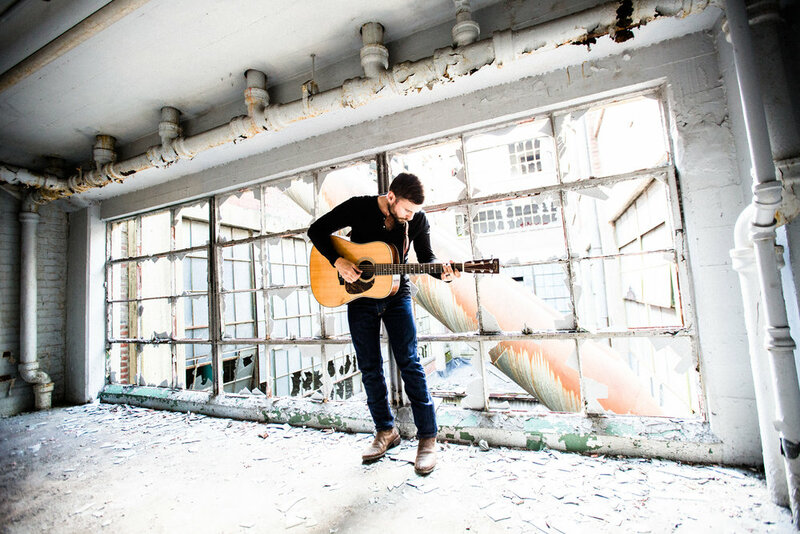 His music is heard on broadcast and internet radio around the world, and he’s been a featured guest on the NPR/PRI syndicated Art of the Song and River City Folk shows. He is an insightful essayist and poet, a gifted workshop leader, and a warm and thoughtful interview. 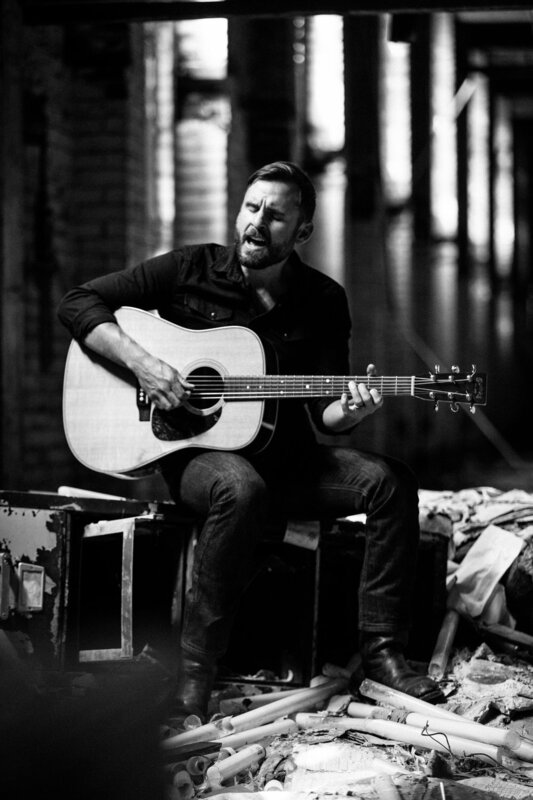 Taking his cue from the lyrics of his award-winning song "Good Things Matter", Andrew often shares his talents both on the road and close to home near northwestern Virginia’s Blue Ridge to help “neighbors in need”. Whether aiding people living on the margins with food drives at concerts, singing for and about workers and communities displaced by mountaintop removal coal mining, or introducing children to music and creativity, he has seen the power of music to help others up close. Ellis Paul is an incredibly gifted singer song-writer who puts on an absolutely wonderful evening of entertainment. His music, his stories, and his personality shine through and you'll find yourself being a new best friend in no time! Because Ellis is normally a larger venue performer, I am obligated to provide a contractual minimum fee for him, so I need to make sure that we have a large enough audience to make that happen. As always with Casa Del Bistro House Concerts, it's all donation, and it all goes to the artist. Cash, please! I will be sending out additional reminders as we get closer to the date, but I wanted to make sure you could get it on your schedule! Let me know if you plan on attending or NOT, so I can start tracking attendees! As always, BYOB. Doors open at 7:00PM and show starts around 7:45. We are extremely lucky that Allie ended up with a cancellation and an opening on May 1, so we're doing a House Concert with her!!! More details to come, but it's only three weeks away and I wanted to get it on your calendar! She is really an awesome performer and you won't want to miss this fortunate opportunity to hear her! We know it's pretty quick after the last one with Rebecca Ann Loebe, but Allie was available and we don't want to miss her! Singer/song writer performer Rebecca Loebe will be our guest for a great evening of music and entertainment, (INDOORS this time..it's still too cold outside!!!) and she will bring her bubbly personality and repoirtoir of great stories and songs. Admission is by Donation, ($15 recommended), with all donations going to to the artist. Rebecca will also be selling CDs at the show. Doors open at 7:00 and show starts at 7:30 ish. BYOB. This is a concert, not a party...BUT... we will party AFTER it's over! Beverages are fine during the concert, in moderation! Seating is LIMITED, so please RSVP early to ensure a seat! We're inside for this one, so seating is even more limited. Directions will be sent with RSVP confirmation if you need it. Rebecca is a young singer-songwriter who grew up in Atlanta and has done time in DC, Boston and New York, now making her home in Austin, TX. She is known for her distinct voice, well-crafted songs and ability to bring an audience to her journeys, introducing them to the characters she meets and observations she makes as she travels. Rebecca has toured non-stop since 2009, averaging 150-200 shows per year as a headliner and as support for The Civil Wars, Ellis Paul, Mary Chapin Carpenter, Nicki Bluhm and the Gramblers, Matt the Electrician and others. Rebecca’s live performances have created a passionate fan base around the world. In 2014 she performed in 35 states of the US, Canada, Europe and Japan and was tapped by Goose Creek Records to record and produce 3 Nights Live and Rebecca Loebe Live, her first official live concert releases. Rebecca has won numerous awards for her songwriting, including the prestigious Kerrville New Folk Award, and has received recognition for her unique, powerful voice. In 2011 she was a featured contestant on the first season of “The Voice US,” winning a spot on Team Adam and an iTunes Top 10 single worldwide with her captivating re-imagination of Nirvana’s “Come As You Are.” Earlier this year she was ranked #9 on Alternate Root magazine’s annual listing of the 30 Best Female Singers in America.